The Deer Park fire is on my mind – such a tragedy! There have been many such events, however – you can read about that history here. My thoughts and prayers go out to that community as they recover and especially to the firefighters who risked their lives. Firefighting is a noble and often thankless profession! 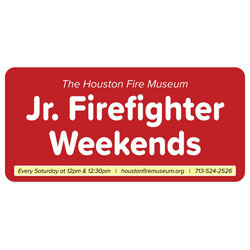 If you want to learn more about the history of Houston’s firefighters, head to The Fire Museum. They have a brand-new exhibit on view through May 25 and the Museum is available for rental (birthday parties and more) and they host public events on a regular basis – in fact, every Saturday is for kids. You can see more about that in this week’s PICKS below. 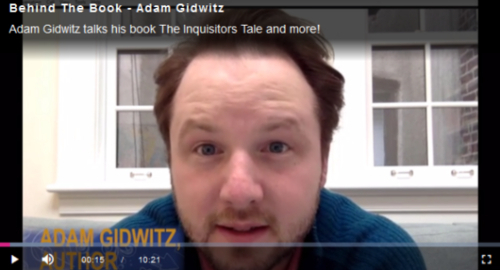 This week’s VIDEO PICK is a question-and-answer with best-selling author Adam Gidwitz – you can see more about him and his event in Houston this Sunday in my PICKS below. And if you’d like a break from our sometimes weary world, head over to 14 Pews – they are hosting a SUPER FUN “CatVideoFest” this Sunday, March 24, in 3 screenings: 3pm, 5pm, and 7pm. 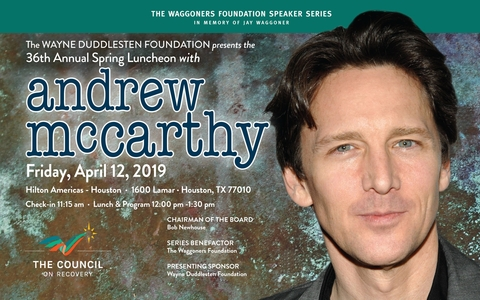 It’s a fundraiser for Friends for Life, the fastest growing No Kill animal adoption and rescue organization in Houston. 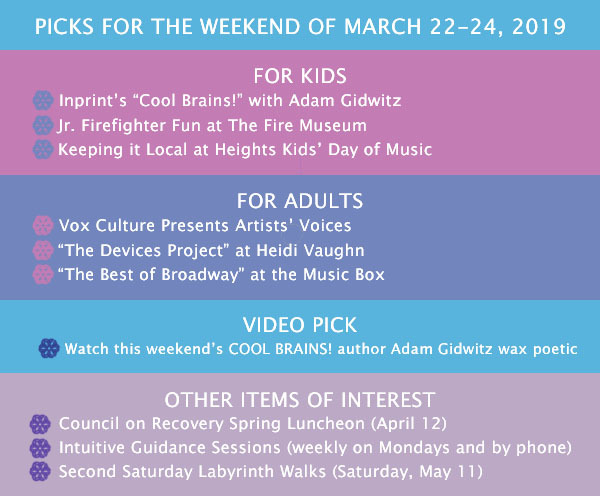 This Sunday, March 24 at 3pm (doors open at 2:30pm), author Adam Gidwitz will be at Meyerland Performing and Visual Arts Middle School for the next “Cool Brains! 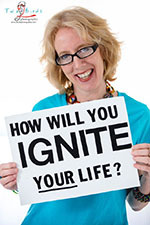 Inprint Readings for Young People” event. There will be a presentation and question-and-answer with Gidwitz, followed by a book sale and signing. 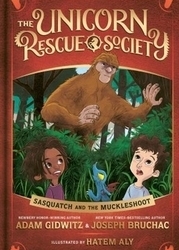 Gidwitz comes to Houston to share the third book in his popular fantasy-adventure “The Unicorn Rescue Society” series -- Sasquatch and the Muckleshoot; the first 100 families in the door will receive a free copy of it. This is the last “Cool Brains!” event for this school year, so don’t miss it! Vox Culture is an arts and advocacy network whose goal is to host events that showcase arts as a way to fight poverty, injustice, and mental illness. 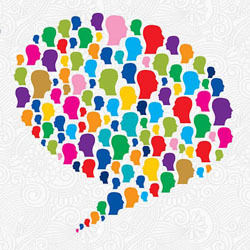 This Saturday, March 23 from 2:45-5:45pm, there will be a storytelling event, “Vox Storytellers: Artist Voices”. 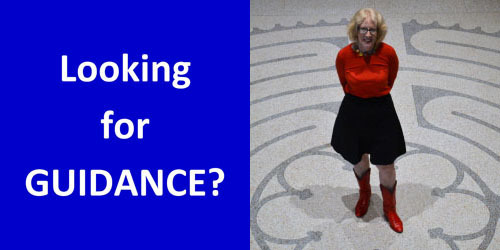 Six curated speakers, all Houston-based artists representing diverse backgrounds and artistic disciplines, will share their individual tales of hope and creativity. The event is free. 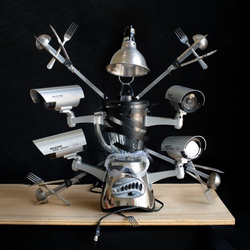 Heidi Vaughn Fine Art presents a unique exhibition by two friends of mine – “The Devices Project” -- on view through March 30. Mary Magsamen and husband Stephen Hillerbrand (“Hillerbrand + Magsamen”) are the duo behind the art and will be doing a gallery talk this Saturday, March 23 at 1pm. The show explores the idea that we can create tangible objects to deal with abstract emotions such as confusion, grief, loss, and anger – they do this using the body and simple everyday objects such as twine, aluminum foil, cups, and toys. 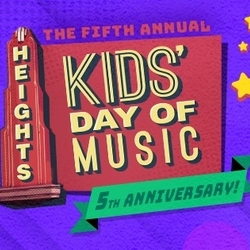 This Saturday, March 23, from 10am-2pm, enjoy the Heights Kids’ Day of Music at Love Park (1000 W. 12th Street). It will be a lively day of all local music on two stages; an instrument "petting zoo" allowing kids an up-close look at band and orchestra instruments; and a "singing station" with opera singers on hand. Heights Kids' Music Festival is a nonprofit whose mission is to inspire kids to have a lifelong love of music and the arts through exposure to the many musical and arts gems Houston has to offer. “The Best of Broadway” is full of well-known hits from Tony award winning musicals, including songs from “Pippin,” “Cats,” “The Sound of Music,” and “Waitress” – among many others and The Music Box Theater is presenting it through April 20. D.L. 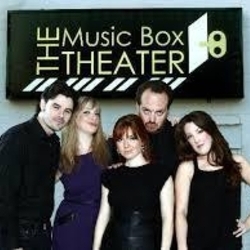 Groover of the Houston Press says “The Fab 5 who rule over Music Box Theater are Houston musical theater treasures…They love to perform and it shows.” Click here for tickets, which are $31 and $41.